Rights to install Microsoft Office apps on up to 5 computers, 5 tablets and 5 phones per user. Right to use web versions of Microsoft Word, Microsoft PowerPoint, Microsoft Excel, Microsoft OneNote, and Microsoft Outlook – access to Office online anywhere at any time by using a browser. Microsoft 365 A3 for Education: Empower educators to unlock creativity, promote teamwork, and provide a simple and safe experience in a single, affordable solution built for education when you license Microsoft 365 A3 for your school. 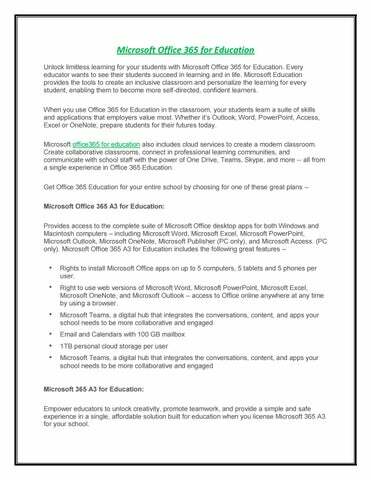 Equip your students with Microsoft Student Use Benefit: All schools that license Microsoft Office 365 A3 for Education, or Microsoft 365 A3 for Education for all staff and faculty, are eligible to get corresponding student use benefit licenses for students at no additional cost. Student Use Benefit licenses can be assigned to student for use on their personal and home computers, helping build the technical skills students will need once they graduate and enter the workforce. Microsoft Office 365 for Education solution are available through Microsoft Authorized Education Resellers. 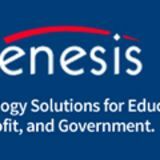 Genesis Technologies Inc. is a Microsoft Authorized Education Resellers. Give us a call at 800-433-6326 to speak with a School Sales Consultant, or email us at sales@genesistechnologies.com with your questions.